Have you seen curbless showers on websites and in magazines and dreamed of a new curbless shower in your outdated master bath? Is your current shower hard to clean and even harder to get in and out of? Or, perhaps you’ve been looking at doorless showers designs. Maybe both have been at the top of your wish list for way too long now. 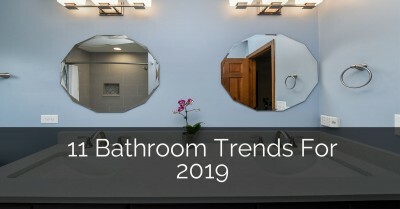 This might just be the information you need to nudge in the right direction toward getting that bathroom remodel done once and for all. 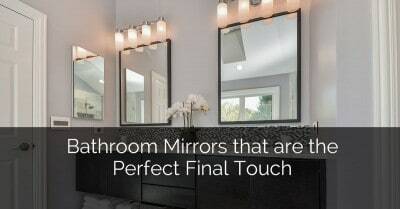 A great opportunity to start enjoying your bathroom again. 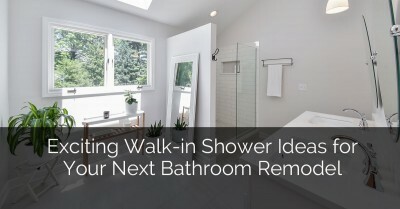 It’s a fact that a new walk-in shower could be just the thing for really opening up your bathroom. And, that doesn’t mean just opening it up physically, but also visually as well. 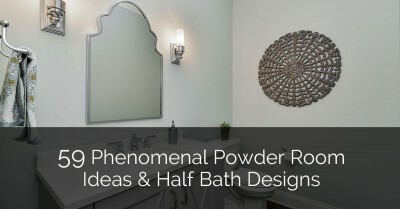 A new curbless shower could be responsible for providing that dramatic facelift that you’ve been wanting and it might not even require a complete change of your entire bathroom layout. Curbless showers have become increasingly popular. Now you just have to ask yourself if a curbless shower could be the best option for you. First, consider the advantages to having a curbless shower of your own. This can affect everybody from children to grandparents. It’s a fact that health care costs keep skyrocketing right along with the general cost of living these days. That means that several generations find themselves having to live under the same roof. That’s just a growing reality for a number of American families and now more than ever, it’s so important to have bathrooms that work well for everybody in the entire family. 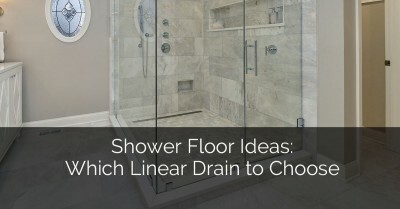 While a four-inch-high shower curb might be really easy for a young person to step over; could seem like a mountaintop for Grandma, so curbless showers and the elimination of that curb could be just the answer for making it an equal opportunity shower. When you have to clean a small corner shower enclosure with a curb, it can be an experience that is extremely difficult and frustrating. Curbless showers use the space much more effectively–opening it up to the rest of your bathroom; which makes it much easier for reaching in and cleaning it. And, don’t forget about hand-held showerhead options. A hand-held showerhead with a hose makes cleaning even easier by reducing all of that bending down. Let’s face it, nobody likes cleaning the shower, so the easier the better. When you have a beautifully designed shower, a curb and/or standard style door can physically cut off your view of any intricate stone or tile accouterments. 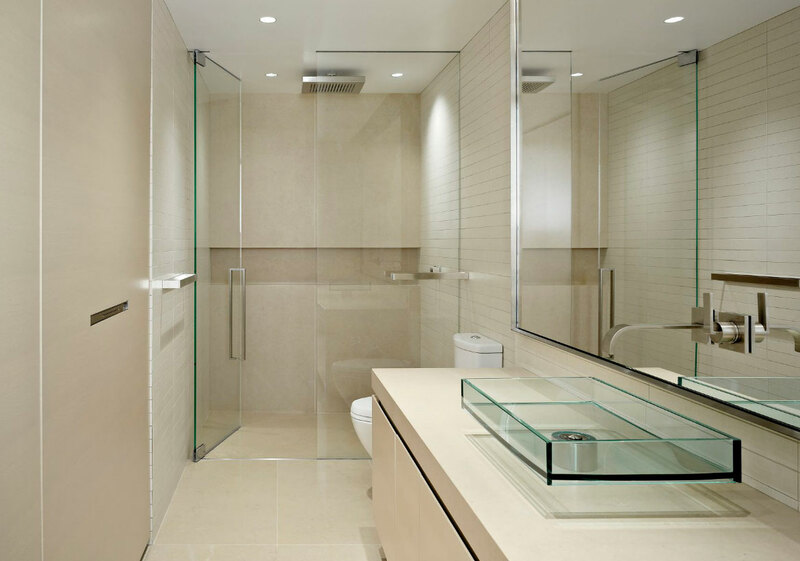 But, an open shower that is completely barrier-free can provide better sight-lines that show off your luxury shower. 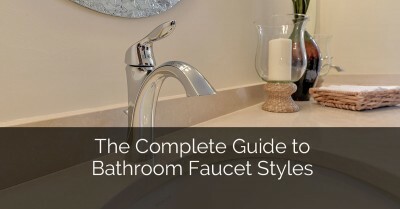 When choosing a shower design, it’s not “one size fits all”. Take a look at the following curbless shower designs to get inspired and motivated to create a custom curbless shower of your own. Modern, sleek & clean. Plus a marvelous view! Contemporary and not a lot of fuss. Any accent color can be added to create the desired ambience. Love the sink! The tile is gorgeous and is a nice contrast to all the white. Another sink style that is stunning. Rich and warm master bathroom. Great use of space–with the placement of the corner shower. 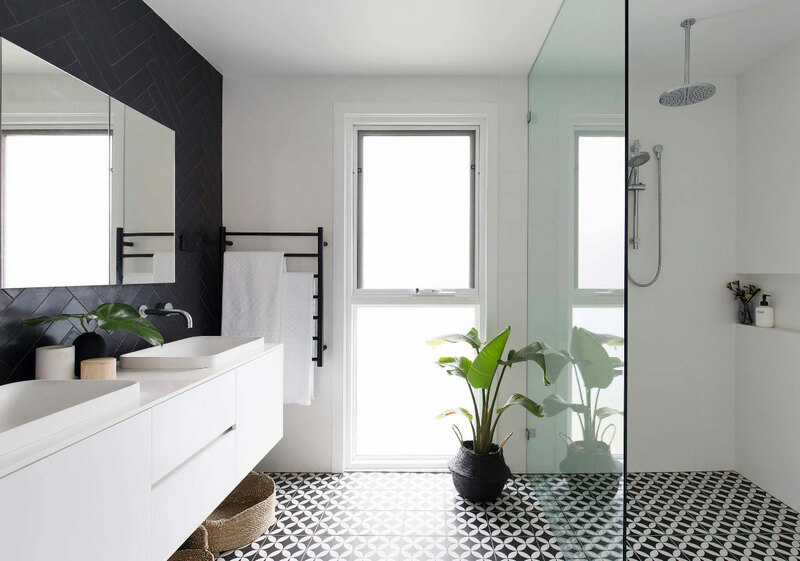 The Circulos B Black & White floor tile is definitely the feature of this bathroom. 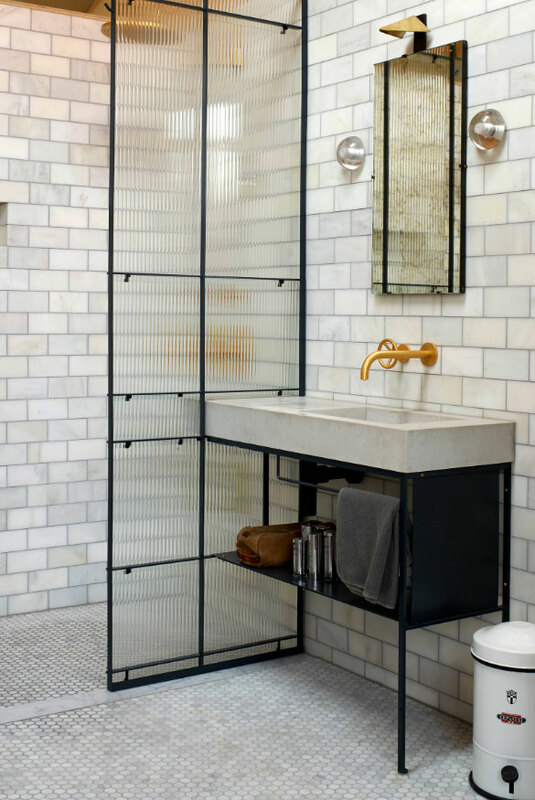 The black tile wall also adds some great detail and texture. This London bathroom is so unique. The lighting is a great touch within the doorless shower and the freestanding tub is out of this world! No doors or obstacles to worry about upon entering this four-star shower. 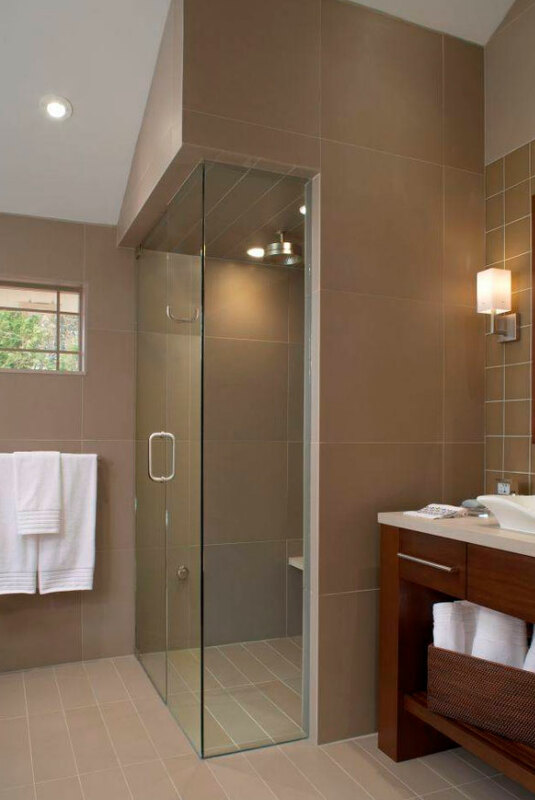 A crisp and solid contemporary curbless shower design. Lots of porcelain tile used in this space! 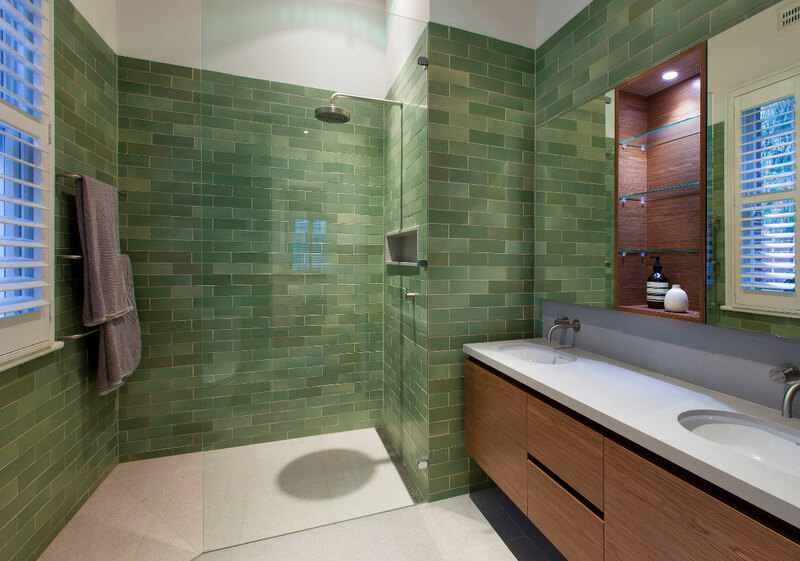 No lack of natural light in this spectacular curbless shower. How awesome is this indoor pool bath? 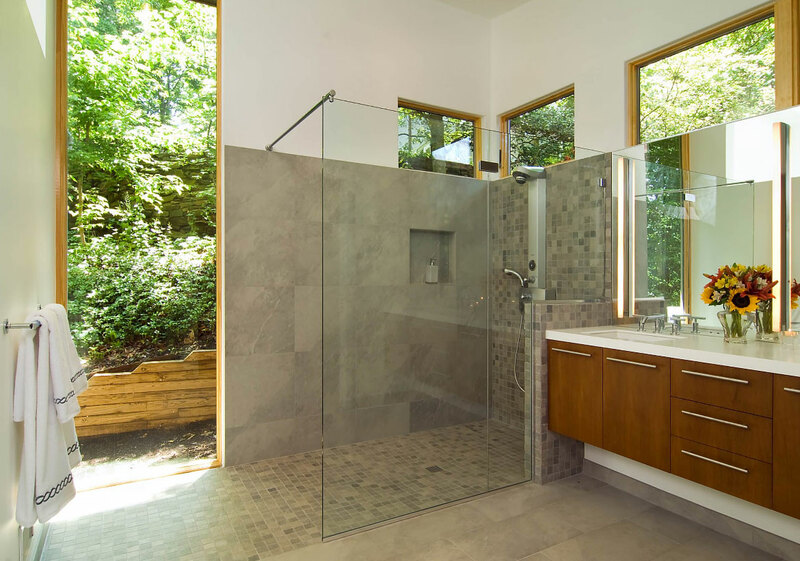 When taking a shower or rinsing off, swimmers and nature-lovers can still feel part of the outdoors without feeling exposed. Also, take note of the beautiful warm cabinetry. 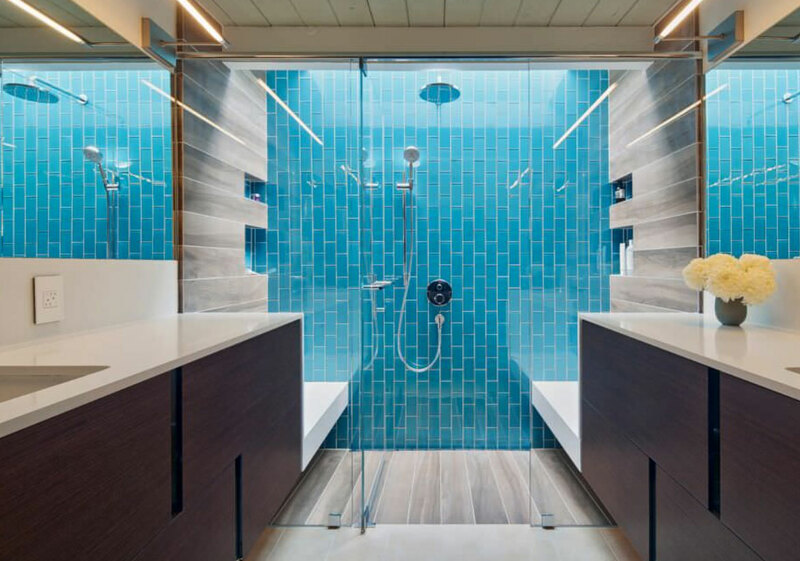 This contemporary condo bathroom is just WOW! But why am I envisioning being beamed somewhere? 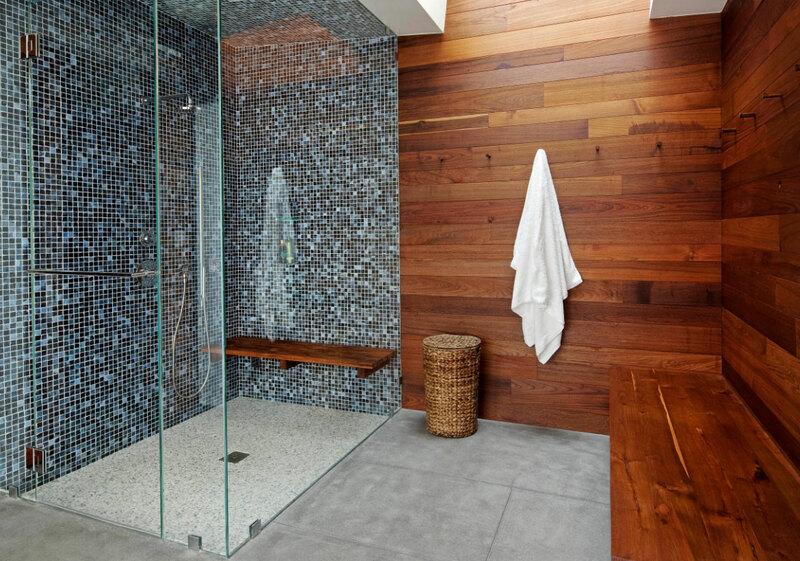 Beautiful teak walls complement this curbless shower. Definitely a beachy vibe in this bathroom. The pretty soft blue tile is so comforting & relaxing. While the tile is very soft in color and feeling, the other features have a more masculine feel. 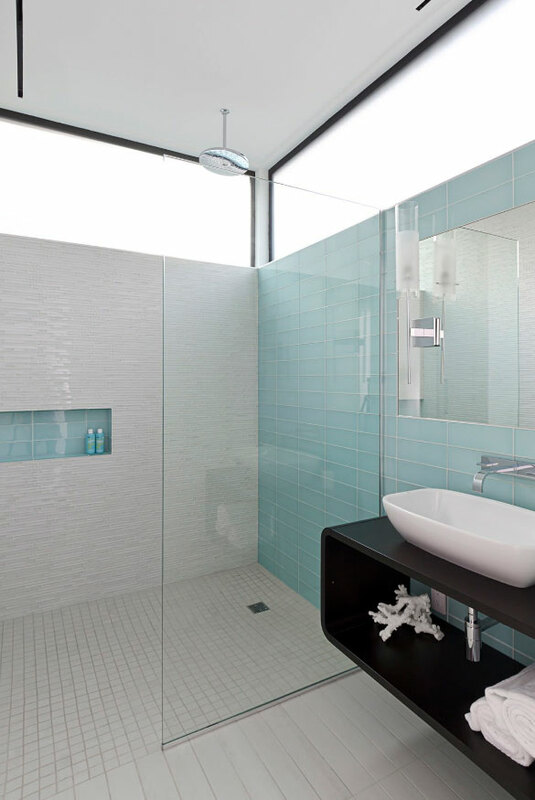 The color of this tile is so serene and peaceful in this beach house bathroom. Variation of green tiles. Warm and soothing. There is no doubt that this blue tile catches your eye. 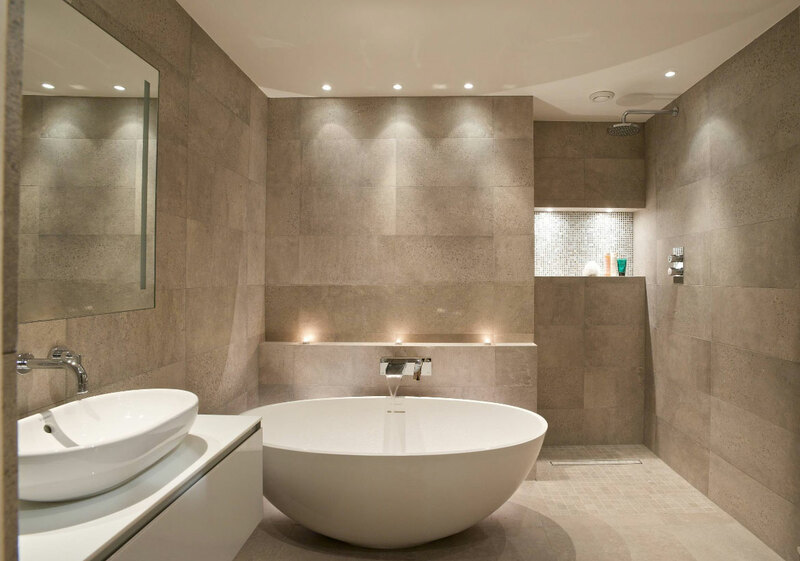 This master bathroom is just stunning. Tons of natural light/tied into the outdoors, beautiful stone plus upscale fixtures. This type of shower design is just about as close as you can possibly get to that fabulous feeling of an outdoor shower. You may think of it extravagant, but it’s definitely not beyond reach. 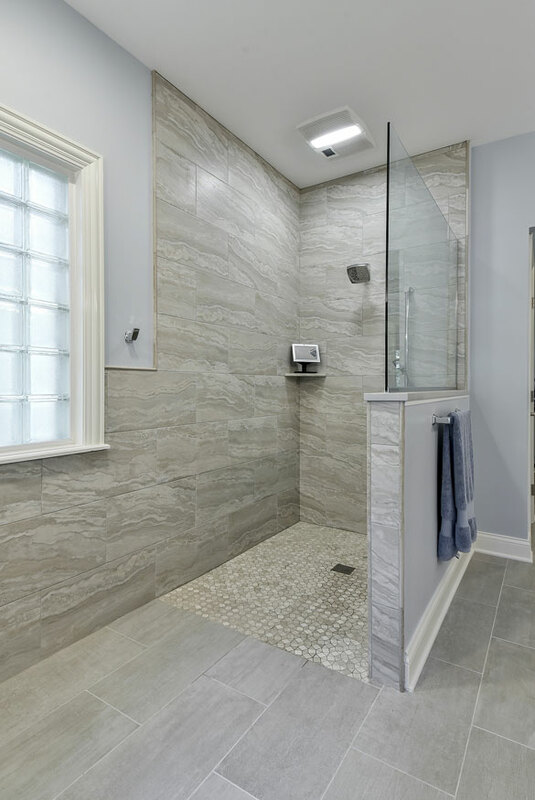 Showers that are not obstructed by a standard shower door or shower curtain are not necessarily all that new but their popularity is rapidly growing all over the country. Have you ever watched TV? If you have, then you’ve probably witnessed firsthand just how popular doorless showers designs have become over the past few years. 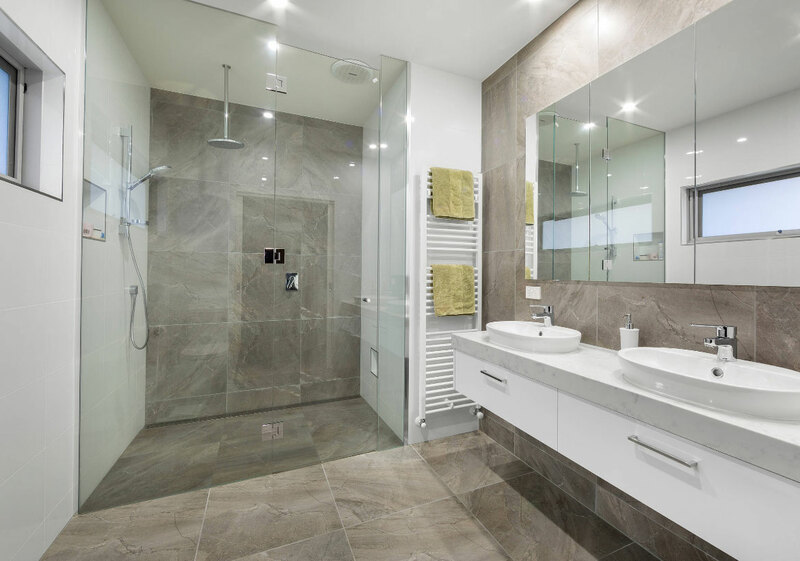 Every house-hunter on those shows is wowed when they enter the bathroom in a potential new home and see that it has a beautiful doorless shower. It’s always a really big selling point and could be for you, as well, down the road if you ever decide to put your home on the market. Everybody these days loves doorless showers designs. 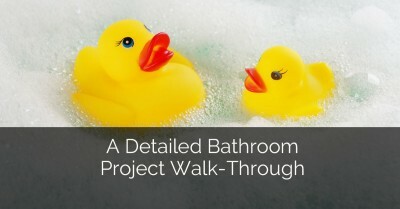 So, hopefully, these points have helped you a bit with making your decision about a bathroom remodel for your home. Whether you choose one of the many available doorless showers designs, a curbless shower, or both; you’re sure to get many years of comfort and enjoyment for both yourself and your family from your new and improved shower. Just like those beautiful homes on TV, your home will not just be a testament to the benefits of home improvement right now but also in the future. Remember, you don’t have to suffer with a small outdated shower that’s hard to clean and unpleasing to take a shower in. If it’s ugly, outdated, or just plain in need of a makeover, there are plenty of great design options to choose from. 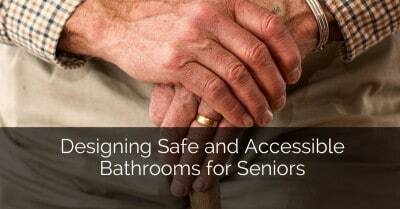 It’s nice to know that getting a curbless shower is a good safety measure for elderly people, so that there will be no struggle for them when it comes to getting out of the shower. We are thinking of getting our bathroom remodeled but we don’t know which design to choose. Since my mom will be staying with us for quite some time, I guess it would be best to use a curbless shower instead, so that getting in and out of the shower will not be hazardous for her. I think having a curbless shower would be nice. Functionality is one great benefit as it is for all ages and, of course, it is easier to clean. Thank you for sharing this article and for other designs shown in here.